Foreign capital continues to flood into the US real estate market, creating competition and increasing prices—but not all buyers are sure to close. 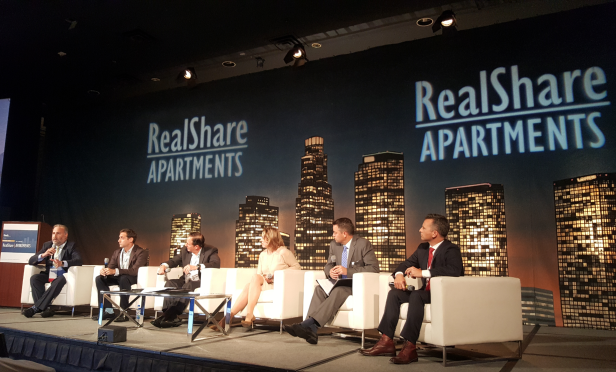 The US is the best place to invest right now globally, and multifamily is among the most compelling investment opportunity for both domestic and private capital, according to experts at RealShare Apartments this week in Los Angeles. Noah Hochman, senior managing director of capital markets at TruAmerica Multifamily; Seth K. Grossman, senior managing director at Meridian Capital Group; Joe Leon, managing director at Berkadia; Ella Shaw Neyland, president at Steadfast REITs; Adam Christofferson, SVP and division manager at Marcus & Millichap; and David Harrington, EVP and national director of multifamily at Matthews Real Estate Investment Services, spoke about the substantial foreign capital investment in the US multifamily market on the Domestic Investment: Navigating the Field Amidst Growing Foreign Investment panel at the conference.